The story of Nancy’s Yogurt began when probiotic pioneer and recent science grad Chuck Kesey started Springfield Creamery. Wisely, he decided to break new ground using a yogurt recipe passed down from the bookkeeper’s grandmother. To this day, three generations of family yogurt makers continue to ardently champion healthful living, wholesome foods, and the same spirit of probiotic innovation the company originated nearly 60 years ago. 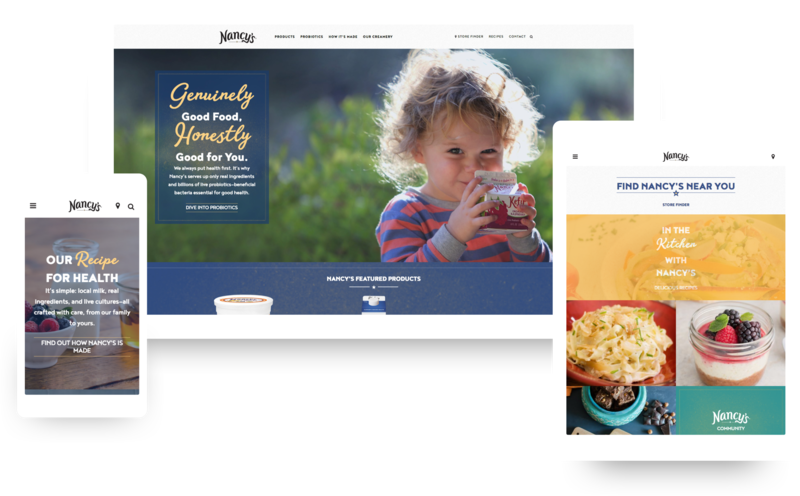 Harlo was hired by Flint Design Co. to design a fresh website presence that would appeal to long-time Nancy’s devotees while reaching across the aisle to new consumers. 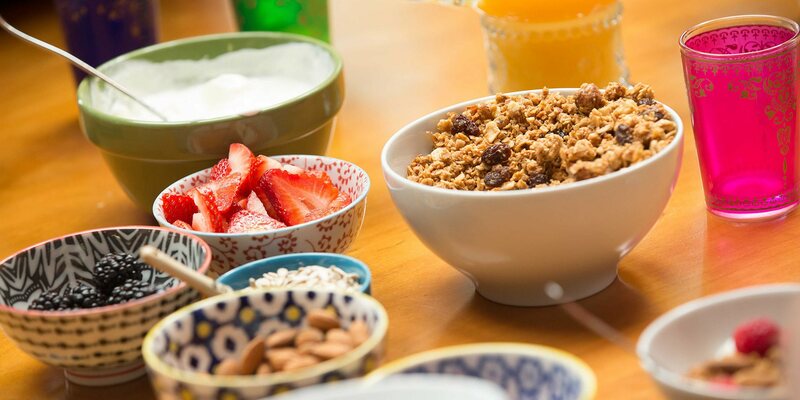 We knew one thing was clear—from octogenarian health nuts to young millennial moms raising the next generation of Nancy’s eaters, it’s the company’s unrelenting commitment to making genuine, healthful food that brings people together. 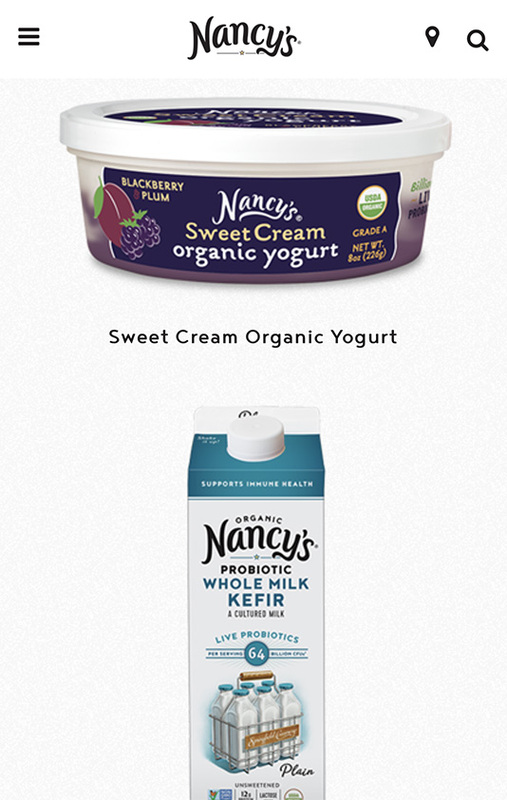 Nancy’s new website connects visitors to their probiotic-packed products, with an easy-to-use product browser, improved store locator and revamped recipes blog. The website redesign also puts factual information about probiotics and nutritional information at the user’s fingertips. 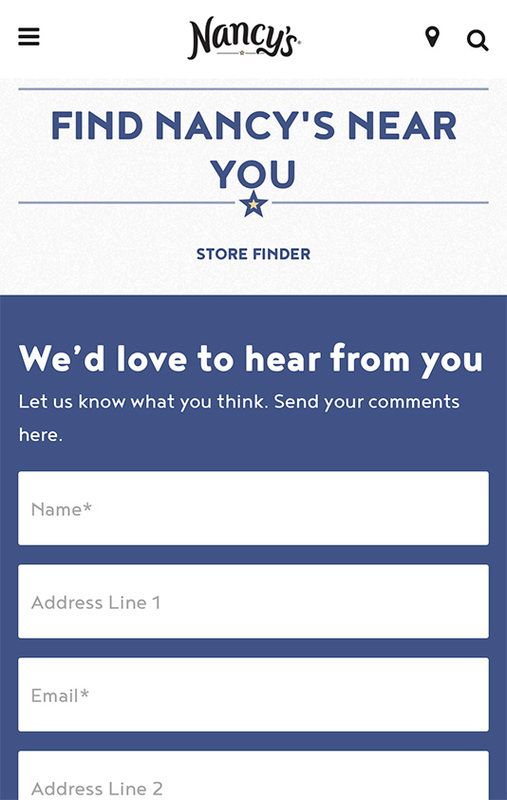 Most importantly, the new website provides an engaging way for visitors to learn about the company’s roots and get a glimpse of the family behind Nancy’s. Throughout the redesign process, the guiding goal was to create an experience that not only reached Nancy’s loyal fan base but more importantly stayed true to the soul of the company. 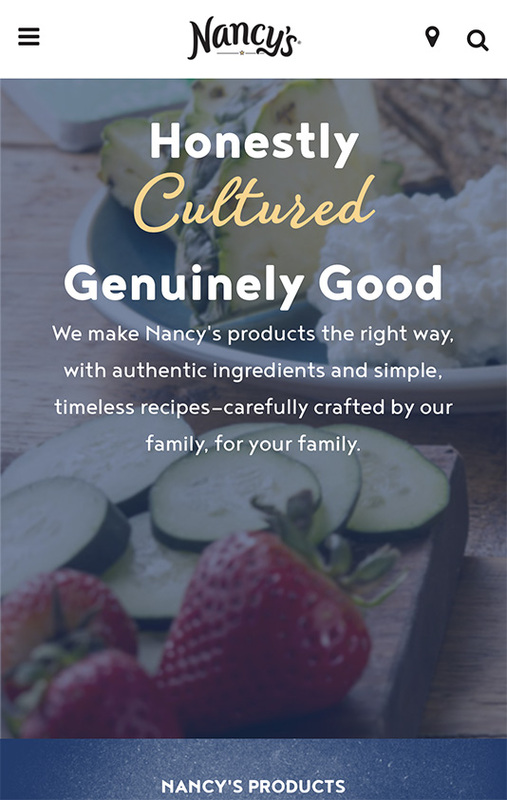 The new website delivers a visually-driven design, with large delicious food photography, bold brand colors, and subtle textures that reflect Nancy’s honest approach to making healthy foods. Most of all it features a personable warmth that is uniquely Nancy’s.